Perhaps the greatest inventor of all time does not have a single patent to her name, but she has been the inspiration for many other innovators. It is the products that these other innovators have created that now have the patents and have gone on to become huge global brands. ‘She’ is, of course, ‘Mother Nature’, the greatest inventor in the three billion year old universe. Not only is she an inventor and an innovator, but she is the originator of the “continuous improvement business strategy”, which in her case is called evolution. That story begins in the Jura Mountains; the year is 1941 and a Swiss engineer called George de Mestral and his dog have gone out hunting for the day. 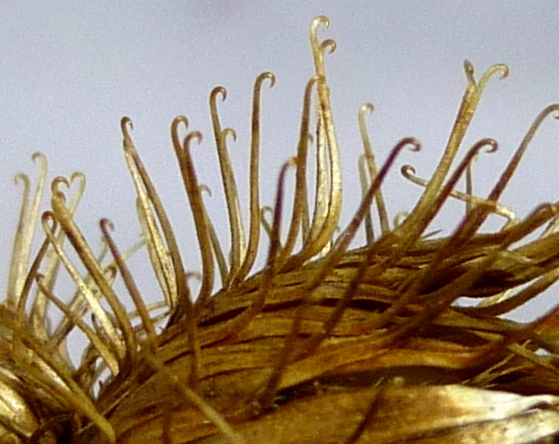 On their return, De Mestral noticed that attached to his trouser legs and his dog’s fur were a number of burdock burs. Naturally curious he wondered how exactly the seeds stuck so effectively to both surfaces. He detached some of the burs and took them home with him. Once there, he put them under a microscope and started to examine them. The answer was immediately obvious. The burdock bur was covered in thousands of tiny tendrils, each of which ended in a tiny hook. It was these hooks that allowed the burs to catch on anything that rubbed against them. Now, individual large hook and loop fasteners had been common for many years, but a material made up of tiny multiple hooks, which would allow objects to be quickly and easily “stuck” together and then as easily pulled apart was something completely new. De Mestral set about trying to find a way to produce such a material. It would take him many years to find an answer to the challenge. His first prototypes used two cotton strips, with one of the strips having hundreds of randomly situated tiny hooks embedded. The random placement allowed the hooks to be more likely to find a loop in the second side of fabric where the loops were also randomly sewn in. However, while the cotton strips worked well at first, the cotton hooks didn’t stand to many attachments and detachments. He started trying other materials and eventually found that heat-treated nylon worked best, being very durable. His new production process involved producing two strips of material, both with loops, before cutting the tops off the loops on one side, creating hooks. Though he now had a durable way to mimic the tiny hooks and loops sticking mechanism of the burdock seeds, he still had no way to mass-produce Velcro. It would take another ten years before he finally invented a loom that could automatically weave the nylon appropriately and then trim the loops. He applied for and got a patent in 1955. For a name, De Mestral decided on a portmanteau word created from the French ‘velours’ (velvet) and ‘crochet’ (hook). The new brand name was Velcro. Launched in the late 50s, it appeared in TIME in 1958. It got a huge PR boost when, a few years later, NASA astronauts used it to help secure pens, food packets and equipment they didn’t want floating away in zero gravity. Nowadays Velcro is used in everything from blood pressure gauges to floor mats in cars and, of course, on the front of children’s shoes. It was used in the first ever human artificial heart transplant. In 1984, David Letterman the American talk show host interviewed Velcro USA’s then director of industrial sales while wearing a Velcro suit. When the interview was over, he launched himself via trampoline onto a Velcro wall. A few years later, a New Zealand bar owner turned the Letterman stunt into the first “human fly” contests. Now, I wonder what a fly could inspire. “Two countries divided by the same language” is a saying credited to George Bernard Shaw, Oscar Wilde and Winston Churchill, but whoever said it, I’m choosing to paraphrase them as “Two countries divided by the same brand” for a story about Mars’ Milky Way. Milky Way is a brand name attached to two different products, the original in America and the second in the UK. The American Milky Way bar is a candy bar made of chocolate-malt nougat topped with caramel and covered with milk chocolate, and is actually very similar to the Mars bar sold in other countries including the UK. The UK Milky Way bar is a confectionery (not candy) bar of whipped chocolate-malt nougat covered in milk chocolate but without the caramel layer. Despite the fact that they are manufactured by Mars, the name Milky Way was not a deliberate choice as another cosmic reference but rather a nod to a popular milkshake produced in the 1930s. The story starts with the birth of Franklin Clarence Mars on September 23, 1883 in Newport, Minnesota. As a child, Frank suffered from polio, which was to leave him disabled. One consequence of this was that Frank wasn’t as mobile as other children and so spent a lot of time watching his mother bake and cook, including watching her make fresh chocolates. His early interest led to his first business ventures and he built himself up as a pretty successful wholesaler in the Minneapolis/St. Paul area. In 1902, he married Ethel G. Kissack and, about a year later, his first son, Forrest, was born. However, the candy business was changing. The Hershey Bar, the first mass-produced chocolate bar, had been introduced in 1900 and competition exploded. Frank’s wholesale business went under. In 1910, Ethel divorced Frank on the grounds that he was unable to support her. She won sole custody of Forrest and sent him to live with her parents in Canada. They would rarely see each other until many years later when their reunion would spark the idea that would ultimately make both their fortunes. Frank remarried and, in 1920, after two further failures with candy wholesale businesses, he and his new wife, another Ethel, moved back to Minnesota where he moved into production of his own candies. Building slowly from his special-recipe butter creams, he developed a candy bar with caramel, chocolate and nuts, which he called the Mar-O-Bar. Meanwhile Forrest Mars had grown up. He left Canada, attended college at Berkeley and later, Yale before becoming a travelling salesman for Camel cigarettes. In 1923, the two were to meet again though not under the most auspicious of circumstances. In his drive for success, Forrest had gone a little over-the-top. He and his team had plastered ads for Camel right across the city, including all over various municipal signs. The local establishment weren’t impressed and he was arrested. Forrest turned to his now prosperous father and asked for help. Frank bailed him out. Frank took the suggestion seriously and started pondering on how he could achieve what his son had suggested. Frank was already aware of what was known as “Minneapolis Nougat”, a variation of traditional nougat developed by the Pendergast Candy Company, made from whipped egg whites and sugar syrup. He decided to try a bar of the Minneapolis Nougat, with an added layer of caramel and dipped in chocolate. He called it Milky Way after the malted milkshake that had prompted Frank’s idea. It had big advantages over bars made from solid chocolate, nuts and other ingredients. It was cheap to make and lightweight. It was also, perhaps more importantly, bigger than competing candies. “People walked up to the candy counter, and they’d see this flat little Hershey bar for a nickel and right next to it, a giant Milky Way for the same price. Guess which one they’d pick?” Forrest said. The relationship between father and son wasn’t always smooth. Forrest had ideas which he thought would make the business more successful. He tried to convince his father to give him control and let him expand to Canada. Frank refused and arguments continued. In the end, Frank gave Forrest $50,000 and foreign rights to Milky Way. Based in Europe, Forrest studied the competition and recognised that there were differences between the two continents’ tastes. He tweaked the recipe of the Milky Way and called the new confectionery the Mars Bar. It was a huge success. Forrest, and Mars internationally, were to go on to launch a version of his new Mars Bar without the caramel layer. He borrowed not only the “Milky Way” name but one of his father’s old advertising campaigns “The sweet you can eat between meals”, reflecting the fact that, in the UK and elsewhere, the Milky Way is much lighter than a Mars bar (or a US Milky Way). Footnote : Fun fact – the density of a UK Milky way is so low (0.88 g/cm3) that it floats when placed in milk. 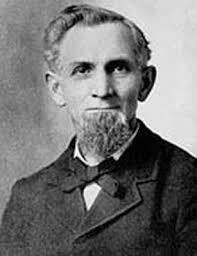 Store janitor, James Murray Spangler, invented the first upright vacuum cleaner in 1908. Spangler suffered from asthma and suspected that the carpet sweeper he used at work was triggering attacks. He decided he would have to do something about it. He mounted an electric fan motor on a Bissell carpet sweeper and added a soapbox and a broom handle to create a basic suction-sweeper. He applied for, and obtained, a patent for the Electric Suction Sweeper. He then set about producing it. He and his son assembled the machines and his daughter assembled the dust bags but production was very slow with only 2-3 machines produced in a week. Spangler gave one of the few machines completed to his cousin Susan Troxel Hoover who used it at home. She was really impressed and immediately told her husband and son about it. Her husband, William Henry “Boss” Hoover and her son Herbert William Hoover, Sr. were leather goods manufacturers in North Canton, Ohio at the time. Seeing an opportunity, the Hoovers bought the patent from Spangler in 1908, founding the Electric Suction Sweeper Company. They retained Spangler as a production supervisor with his pay based on royalties in the new business. Spangler continued to contribute to the company until his death in 1915 when the company name was changed to the Hoover Suction Sweeper Company. Hoover went from strength to strength and established a major base in the United Kingdom. For most of the early and mid-20th century, Hoover dominated the electric vacuum cleaner industry in the UK, to the point where the “Hoover” brand name became synonymous with vacuum cleaners and vacuuming in the United Kingdom and Ireland. People did the “hoovering” no matter what brand of vacuum cleaner they were actually using. However, at the end of the 1980s and early 1990s, things weren’t going quite as well, a backlog of vacuum cleaners and washing machines was building up in Hoover’s warehouse. In 1992, Brian Webb, Hoover vice-president of marketing, and Michael Gilbey, director of marketing services, led a team tasked with coming up with a campaign to boost sales. They created what they thought would be a wonderfully simple, highly effective promotion – anyone buying Hoover products for at least £100 could claim two free flights to Europe. They calculated that they could buy all the tickets they needed cheaply through charter operators. Response to the promotion was sky-high, stores were soon fighting to keep Hoover vacuum cleaners in stock. Hoover were elated at the sales figures and decided to expand the offer to include tickets to the United States. As demand kept increasing, concerns started to emerge. People had caught on to just how good the offer was. Many were buying Hoover products that they didn’t want or need just to get plane tickets. Tickets to more exotic European locations generally cost more than £100 for a pair and a single ticket to the States were nearly always more than £100. The travel operators retained by Hoover were unable to fulfil their contractual responsibilities in the light of enormous demand. 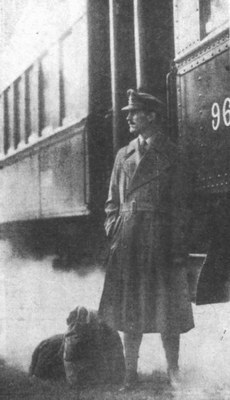 Despite a variety of “hurdles” that people had to overcome – receipts and application forms had to be sent off within 14 days; after that would-be travellers had to go through a lengthy procedure of nominating airports, dates and destinations, customers had to book accommodation and insurance through affiliated travel companies – Hoover couldn’t deliver on its promise. As complaints mounted, the Hoover Holiday Pressure Group was established by Harry Cichy. They would fight on behalf of the flightless. With the help of the pressure group, hundreds of customers began taking Hoover to court and soon Hoover found itself fighting legal battles up and down the country in the small claims courts. The cases continued for six years after the promotion first started. Looking back there were winners. The 220,000 people who did eventually fly. The airlines who supplied Hoover with thousands of extra seats – British Airways provided 20,000. Virgin supplied the same amount. A further 40,000 charter seats to Orlando, Florida had to be negotiated. The VAT man was a winner too. It has been estimated that ‘he’ received an extra £4m, thanks to the unexpected sales. The business cost to Hoover was enormous. The promotion had generated c£30m of sales but the cost of the tickets was £50m. Brian Webb and Michael Gilbey were dismissed, along with William Foust, managing director of Hoover Limited and president of Hoover Europe. The biggest loser however was the Hoover brand which was sold to competitor Candy for a knockdown price.